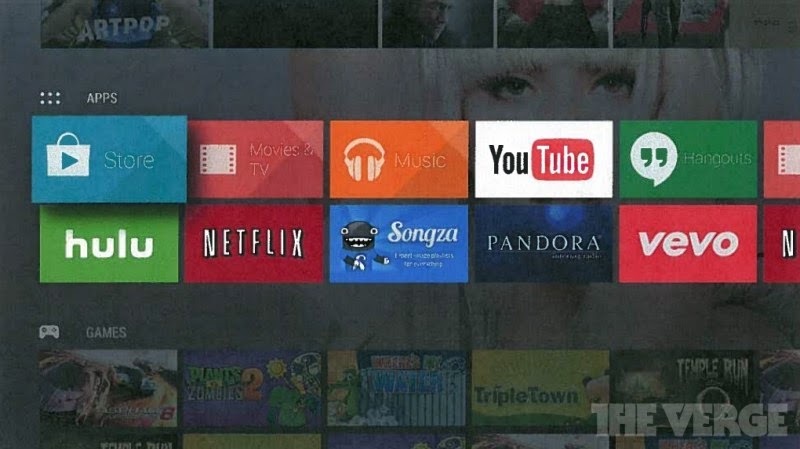 Google is reportedly preparing for the launch of a new set-top box dubbed Android TV. Efforts to establish Android in the living room have been a long time coming. 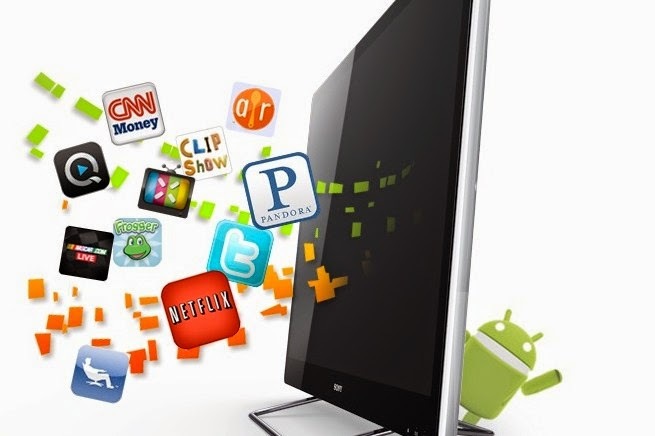 Google is working on yet another TV product dubbed Android TV, the Verge reported Saturday. Android TV will consist of a much simpler interface than its predecessor Google TV, and screenshots shown by the Verge actually bear a striking resemblance to Amazon’s new Fire TV, which the online retailer launched this week. Google has been cooperating with third-party developers to bring apps for services like Netflix, Hulu Plus, Pandora and Vevo to the platform, but apparently also plans to support an extended list of Google services, including most notably Hangouts, which suggests that an Android TV product may include a camera for video chats in the living room. Also included is extended support for Android-based games. It’s been an open secret in the industry that Google has been working on a more defined set-top box experience ever since Google TV failed to gain traction. The company reportedly showed partners a box with a camera and gaming capabilities at CES in Las Vegas in January of 2013. A year ago, we also reported that Google was working on ways to simplify its Android-based Google TV platform to concentrate on devices that didn’t include HDMI pass-through, and resembled more closely competing products like Apple TV and Roku. I’ve since learned that select partners had access to developer devices in the following months, but that plans to launch such a device in time for the holiday season got scrapped, possibly in part due to the success the company has seen with Chromecast. However, the timing of the leak, and the advanced work with partners, may suggest that we may get to see Google’s Android TV soon, after all. A launch at its Google IO developer conference at the end of June seems like a likely option. The fact that Google is building another box after its failure to take Google TV mainstream may seem confusing at first, but it’s actually consistent with how the company’s thinking about TV devices has evolved. After tightly controlling Google TV specs down to the look of the remote control, Google transitioned Google TV to become part of the main Android project last year. The company even quietly gave up on the Google TV brand, and instead has been encouraging consumer electronics manufacturers like Hisense to use Android for their own TV experiences, offering them access to Google services to enhance these experiences. In that context, an Android TV would represent Google’s very own take on how an Android-based TV device should look like, as opposed to a platform that it tries to get the entire industry to adopt.